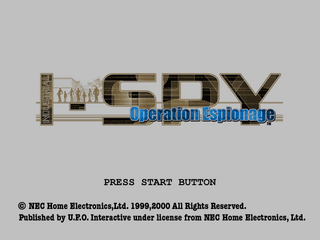 Industrial Spy: Operation Espionage, known as Espion-Age-Nts (エスピオネージェンツ) in Japan, is an adventure game for the Sega Dreamcast. Main article: Industrial Spy: Operation Espionage/Magazine articles. Main article: Industrial Spy: Operation Espionage/Promotional material.